If you shop a LOT, and you like saving money a LOT - you *need* to sign up for Ebates. This isn't sponsored in any way - I've just totally and quickly become so obsessed with using it! About a month ago after seeing a ton of commercials and ads for Ebates, I decided to sign up and see if it was 1. legit and 2. really worked. The commercials always make it seem like it's too good to be true - literally making money to shop - but let me freakin' tell you, it works! Ebates is so simple to use - it started by only working for online purchases, but now there's easy ways to use it in-store too. 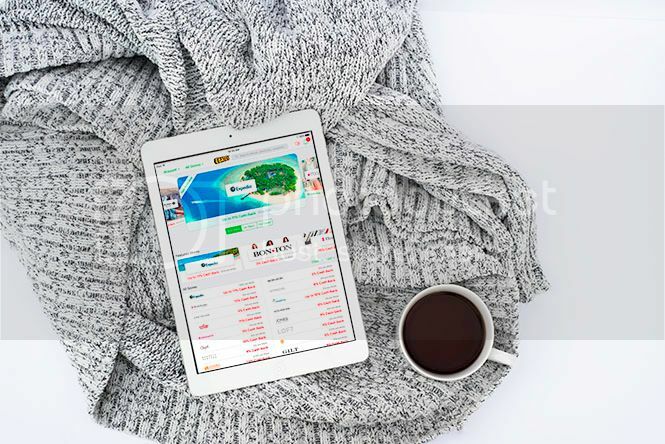 It's literally as simple as shopping through Ebates' website at any store (they have thousands of stores, and where ever you're shopping is almost guaranteed to be included on that list!) and making a purchase. Each store as a different cash back rate and these rates change almost daily. With every purchase, you make a percentage back. Some stores may only be giving 1-2% cash back at any given time; so at first I was completely skeptical. I figured I'd only be making a couple of cents and it'd take forever to make anything worth while... And I'm SO happy to say I couldn't of been more wrong! In just a month, I've made $120 cash back on a handful of purchases that I'd be making anyway. When you sign up, you simply install the Ebates button on which ever browser you're using and then make sure you "activate Ebates" during each online shopping trip. The percentage of cash back you get varies - some stores' percentages change daily, some change every few days. There's even "double cash back" days where stores double the percentage. For a little perspective, I spent $160 on a Nordstrom order last week and I got $9.80 back. There's *seriously* nothing more fun than placing an order then opening the Ebates app and waiting for your balance to go up! It's kind of addicting! 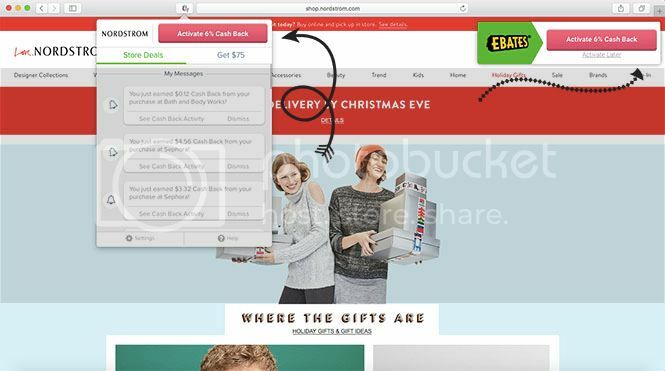 Recently, Ebates added an in-store feature. By linking your debit or credit card(s), you can link a cash back offer to the card you're planning to use and then get cash back for in-store purchases too. The stores that give cash back differ whether you're going in-store or online, so it's important to check that out first too. To add a card and link it to an offer, open the app - my account - my wallet - and then add as many cards as you want. I added the cards I use the most so that they're stored; and make sure you don't skip the "agree" to the terms step after reading them. Then on the main page of the app (under "featured"), you can switch over to in-store. Click that tab, and scroll through the stores to link whichever you'll be shopping at. It couldn't be more simple! You can choose to get paid via PayPal or check and then get paid each month based on your earnings. 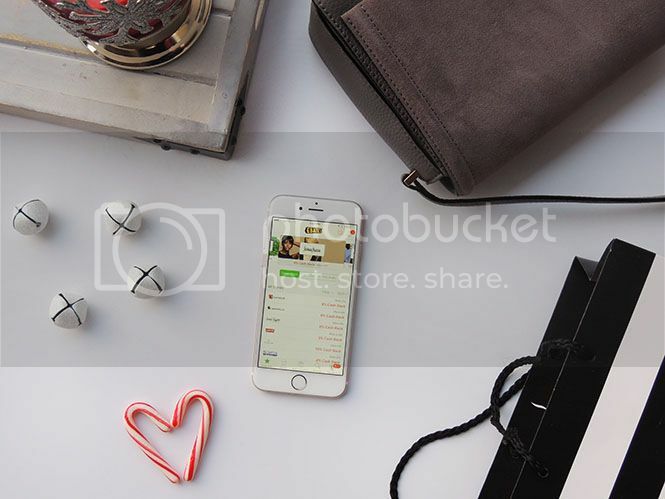 If you shop, you NEED this app! It's literally making money back on purchases you're already making. This time of year is even better to use it because you're likely doing double the shopping. I'm not sure who the genius is that created this, and I'm also not sure why I didn't use it sooner. But now I got my mom using it, my sister, cousin and my best friend and they say the same thing! If you sign up, use my referral link because we'll BOTH make $10! I used a friend's referral link when I signed up and I started out with $10 in my account literally just for signing up. I'm sharing this with you guys because I couldn't keep something this amazing to myself; it honestly couldn't be easier to make extra cash back. And you're literally not doing any extra work! This post is NOT sponsored; the only link included is a referral link for Ebates. This means if you sign up for Ebates, I'll make $10 - but you do, too! It's a win-win! I love using eBates, it's the best! Ooh, this sounds like a great program! I'll have to try it! I've heard so many great things about ebates, I need to sign up! Who doesn't want to save money? I'm going to try it So glad you shared it. I'm using Ebates, I'll have to check it out! And I'e heard that one of my friend want to sign up, I'll use your referral. I'm a huge fan of Ebates, which is why I have the plug-in installed on my browser. It makes it so much easier to know which sites I can earn cash back from. Ebates is great! I haven't used it as much lately since I've been going with the airline portal instead for points but I should balance them out a little more! I have never used beats, I never really understood how it works but it is very cool! I love ebates! I've been using it all season long for shopping and have gotten so much money back! Good deal Ebates! will surely use your referral link, have to check it out! I've never used ebates but always heard great things! Maybe i'll look into it more now! Ive never heard of this before. I should check it out,sounds great. We Indians are struggling with demonetization of currency these days, so I think such apps will flourish wonderfully in our cashless economy. I love using Ebates! I didn't know they had added the in-store feature. That is great to know. I will have to use that. It is important to save year round. I do love ebates! I love using eBates on my travel purchases on websites like Expedia- it's the best!